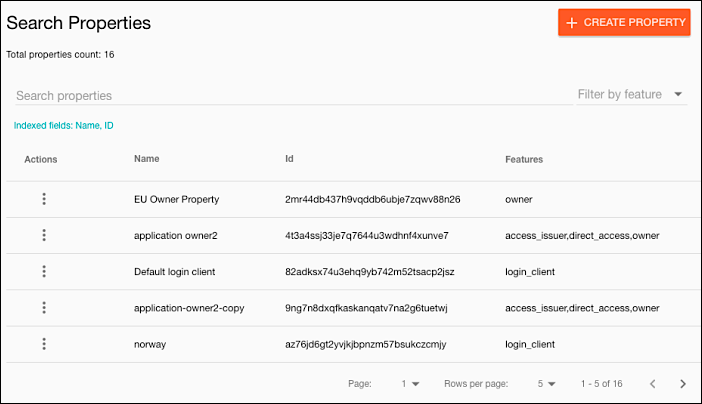 To see all the displayed properties simply scroll down the page. 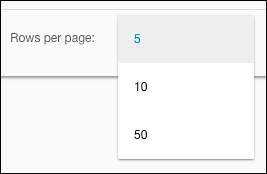 Before you ask, yes, the Rows per page setting is “sticky:” the value you set remains when you leave the Manage Properties page. 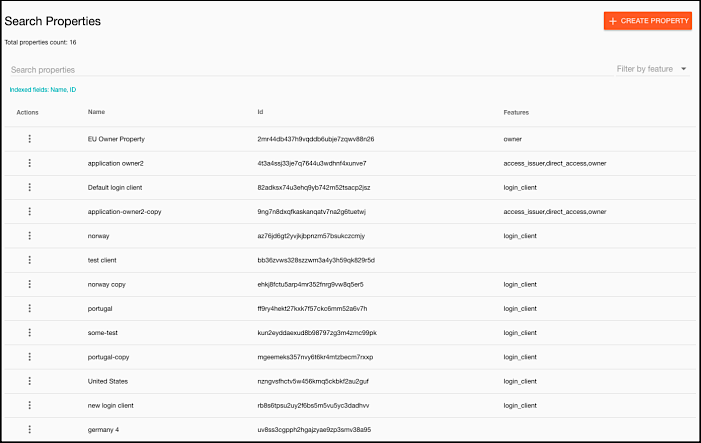 In fact, the value remains even after you log off: the next time you log back on, the Console “remembers” your previously-configured rows per page. Click the Name label a second time to sort in descending (Z to A) order. 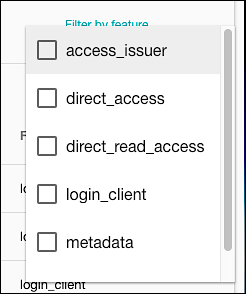 Note that Id and Name are the only two columns you can sort by; you cannot sort by either Actions or Features. To view the entire list of properties again, select and delete any text in the Search properties field. 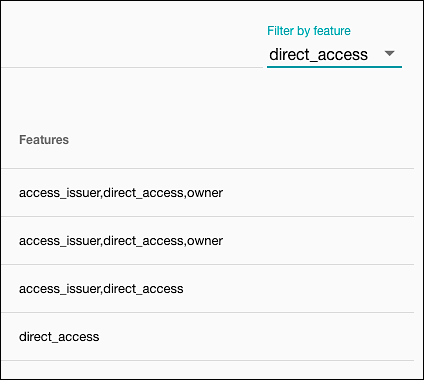 If you want to target a specific type of property (e.g., all the properties that have the direct_access feature), you can do so by clicking Filter by feature. To display all the properties, click Filter by Feature and clear all the checkboxes.